Light Engine is a globally-recognised pioneer and leader in advanced LED technologies. With R&D at its heart, Light Engine has cultivated a reputation for bringing the best quality and latest innovation in LED lighting to the global market. Thankfully, they brought this pedigree to the Controlled Environment Agriculture (CEA) industry and, now, the AVF. I interviewed Product Innovation Director Mr. Teddy Lo and Business Development Director Mr. Roger Suen about the company’s product roadmap and upcoming activities. The importance of indoor farms is slated to grow exponentially in the coming decades and we need the rate of innovation in this sector to keep up. Light Engine is looking critically and fearlessly at the problems facing CEA and coming up with timely solutions. How can we make LED-lighting more responsive and adaptive to the needs of indoor farms? Improved efficiency can only lead to a better ROI; but arguably an even greater innovation is this technology’s adaptability. Light Engine’s lighting systems can be used in an increasing number of configurations, fitting in seamlessly with each farm’s unique set of needs. Precision control over light mixtures is then handed over to the farmer who decides what works best for each crop. Light Engine first became involved in horticulture in 2012 with a display of the biological effects of LED horticultural lighting at their showroom in the Hong Kong Science Park. Since then, they have developed a versatile line of products intended specifically for indoor farms. 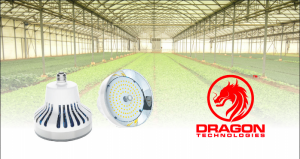 Many of these products act as direct replacements to conventional grow light fixtures; and they promise to drastically improve yields and ROI because they are designed solely for growing applications. DRAGON Technology, a patent-pending design for an out-of-the-box bulb that offers a simplified retrofit solution with excellent efficiency. 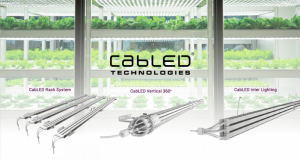 CabLED Technology- includes the best grow spectrum LED in the market for this patented linear lighting platform; this product line is waterproof and adaptive to any colour configurations or control possibilities. Light Engine’s products allow for users to exercise precision control over light intensity, optical design and heat management; the end result is a lighting system that caters more precisely to their farming system’s needs. While Light Engine maintains a neutral position as the manufacturing supplier among different horticultural clients, it works closely with OEM customers to develop different specifications of products for different horticultural applications. They currently operate an R&D facility in San Diego that allows them to test their lights in an organic farm setting. Light Engine has an exciting future prospectus: current plans include the development of a smart control and monitoring system for vertical farms with Augmented Reality technology. As members of the AVF, Light Engine will play a crucial role in further developing the industry to help solve the world’s hunger problems.